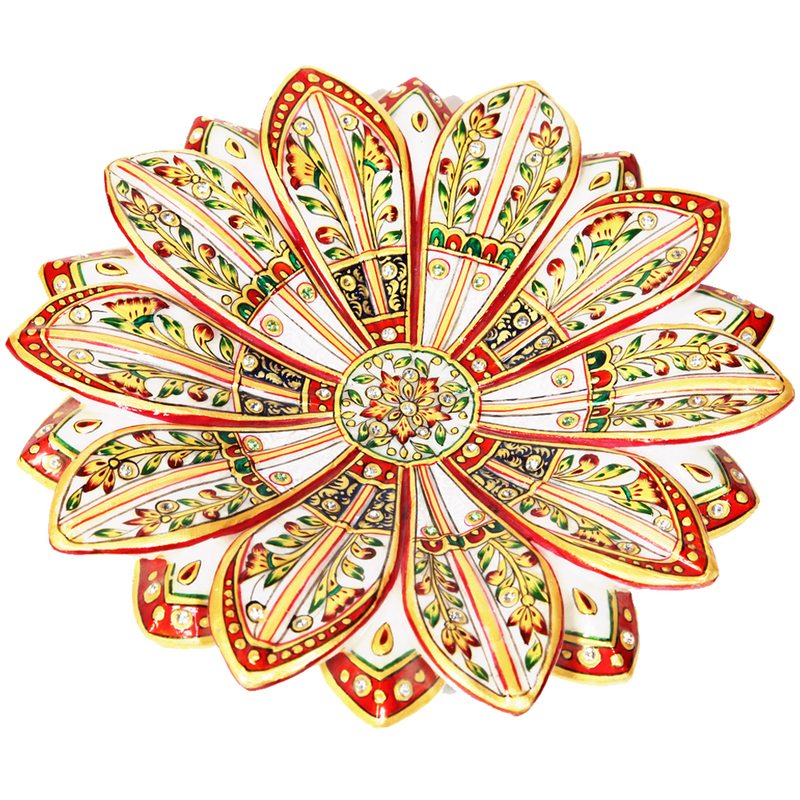 This lotus shaped marble tray is an excusite work of craftsmanship on marble stone from the pink city of Jaipur. This piece of handicraft can Read More..be an unique gift item this Diwali and on other special occassions. 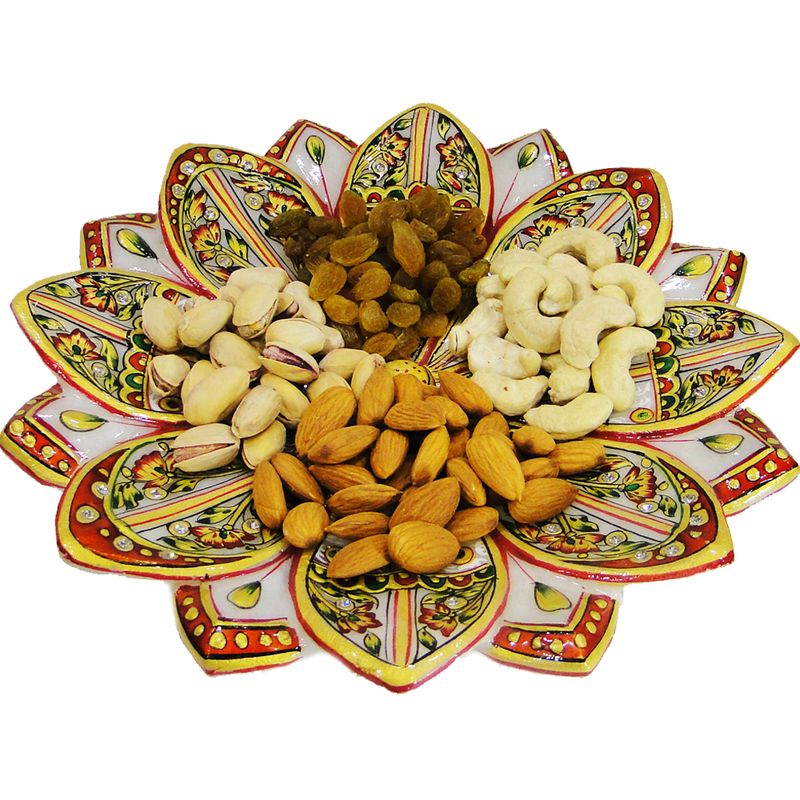 Visitors to your house will love partaking of dry fruits and other delicacies from such an enchanting marble tray. Apart from the shape of the tray the unique work of art on every petal of the flower done with meticulous finesses deserves a special mention. Show Less..